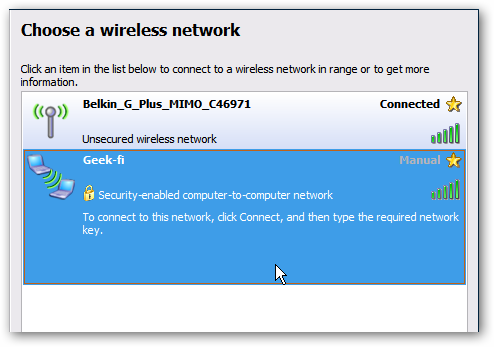 In some computing situations, you might need to create a WiFi hotspot quickly so other wireless devices can use an Internet connection. 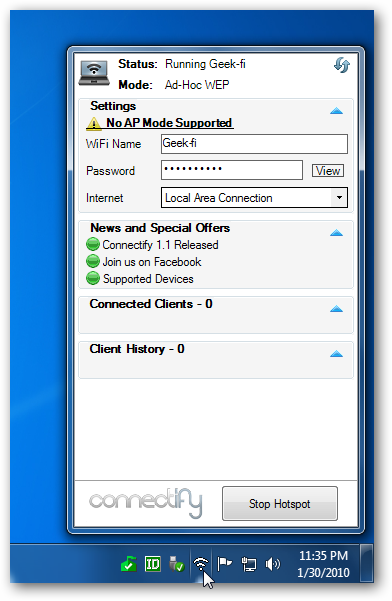 Today we take a look at Connectify which easily turns your Windows 7 machine into an instant WiFi hotspot. and you need to share the Internet connection with other people or devices. 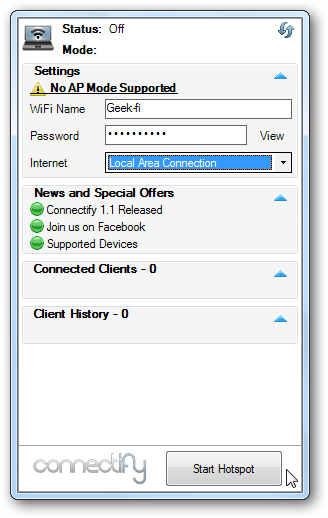 Connectify is a free utility which is light on system resources and makes it easy for you to set up your Windows 7 machine as a secure WiFi hotspot. 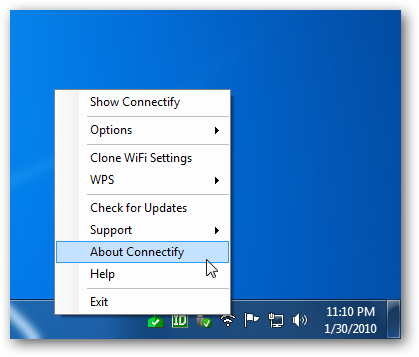 Note: Connectify only works with Windows 7 Home and above, Starter is not supported. and no Internet sharing. When you’re ready, click on the Start Hotspot button. Now you’ll see it running and can begin connecting your other wireless computers and/or devices. 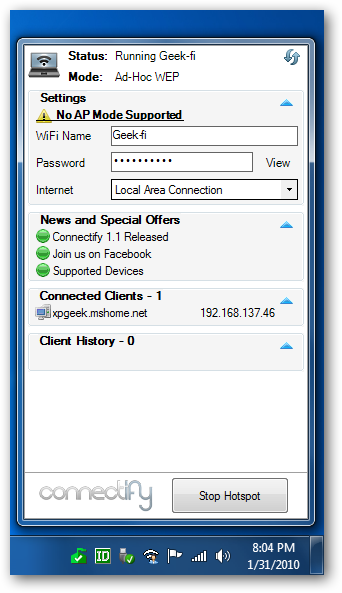 You’ll be prompted to enter in the Network Key (password) you set in Connectify twice, then click on Connect. 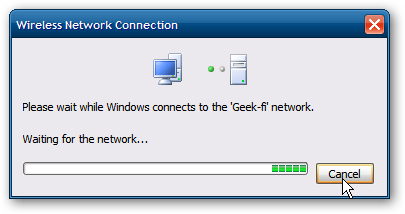 Here you can see the XP machine is connected to the Geek-fi network we created on the Windows 7 machine. 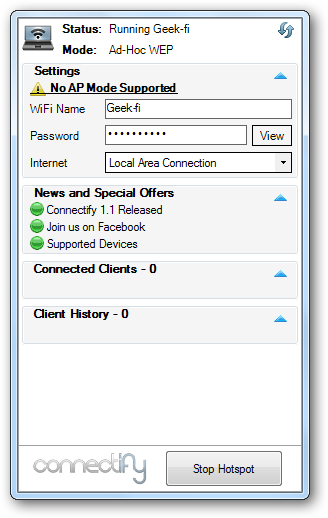 Right click on the Connectify icon in the tray to get different options for running it.